OMG.. Middle in Shibuya is having a sale! It's the place where I got my infamous "Japanese Sorry" t-shirt and the "hilarious" Esca Master one. I like the humour of those, so I decided to buy two! 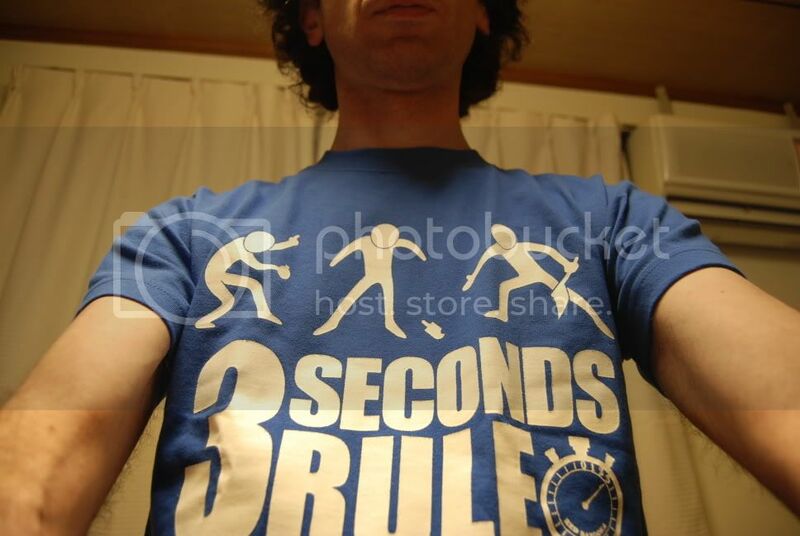 Without much hesitation, I got this "3 Seconds Rule" shirt for 2,835 yen (was 3,360). Mouseover to see the print on the back. (nb. it takes a little while to load). 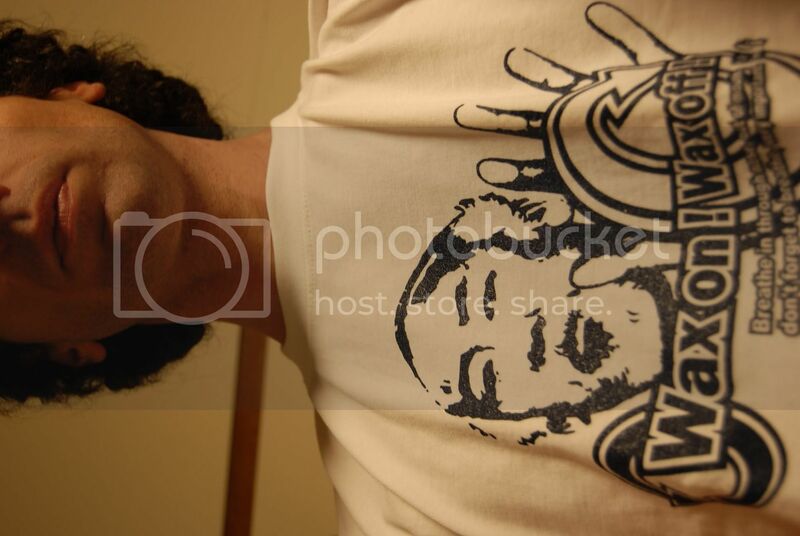 I also got a Mr Miyagi "Wax On Wax Off" shirt too for 3,300 yen (originally 3,800). Let's just say I'm a sucker for the Karate Kid. Some might even say Part II was responsible for making me want to come to this corner of the world. LOL. What does it look like? Click the picture above or else click here.